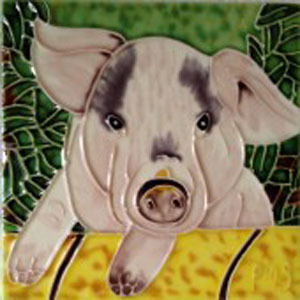 Beautiful High Gloss Raised-Relief, Hand-Painted Pink and Black Pig Tile. Each Tile has a cork back and hanger. 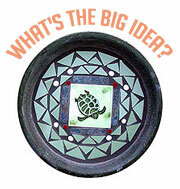 Great as a coaster or wall hanging. These tiles look great in a kitchen, bath, or even a child's room. Great Gift Item!